By 2018 SCAR had been in operation for 60 years. Since its first meeting in The Hague, 3–5 February 1958, it has grown an international network of thousands of scientists who share a common ambition to carry out Antarctic science for the benefit of society. 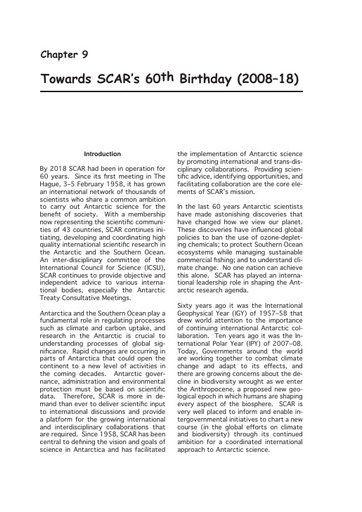 With a membership now representing the scientific communities of 43 countries, SCAR continues initiating, developing and coordinating high quality international scientific research in the Antarctic and the Southern Ocean.